Phew, there, I’ve said it. So, let’s start with Mr Jackson’s much vaunted 48fps HFR 3D technological breakthrough. Oh dear lordy, for all that is good in the world, let this technology die right now! I am a real fan of 3D movies, thinking they often have a certain additional depth to them that helps make the movie-going experience more immersive. 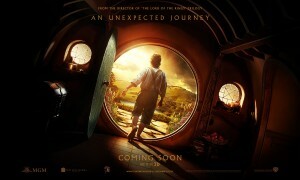 But guys, what the heck went wrong with The Hobbit? Are you telling me that someone has sat down, watched the film on a big screen and signed off on it?! If they have then they deserve the sack, because this film looks bad, very bad. Now, let me discuss the 48fps issue. There have been accusations from early part-screenings that this process made the film look like an HD TV series, pristine and shiny. Jackson et al claimed this was because the film hadn’t been graded, coloured, and generally ‘film-ified’ yet. “Don’t worry” they said, “it’ll look epic and grand on final release”. Well my friends, we have been duped. It looks like the shiniest of shiny things ever. Pristine is a good word for it, but STERILE is a far better one. There is rarely a scene with any ‘filmic’ feeling to it, everything is just so goddamn clean and crisp and perfect. It really DOES look like a top end HD TV production. There are a few saving graces, such as the battle scenes and the Gollum cave sequence where things get better, mostly due to interesting lighting and darkness. But overall it is all way too clean to feel like a LOTR movie. Is this the end of the world, or the very start of a new one? Who can tell. It doesn’t destroy the movie but it does lack warmth and flavour and the heightened sense of reality forces you away from the film rather than bringing you closer to it. But that’s not the real bugbear I have with 48fps, oh no. There was a much greater, more aggravating issue. Now, it may have been a technical fault with the Odeon’s brand spanking new equipment. Possibly they don’t have it ‘run-in’ quite correctly. But throughout the screening we were subjected to sudden and terrible speed-ups, where a person would be moving across screen and suddenly speed up for a second or two. Or when they were talking. Or during a battle scene. Or…well, so often I lost count. It was as if the film were buffering and catching up with itself. A symptom of 48fps technology and all-digital prints & projectors? I know not, but it really did destroy the film for me, it was like adding a Benny Hill sketch into an epic Western. Utter technical failure. End of story. So what then of the Jackson claim that 48fps would enhance the Real3D experience and make the movie more immersive? Well, it might have if not for all of the above and the fact that it seems WETA allowed the work experiencers to do the CGI and blending. The Hobbit never once achieved what the previous LOTR films managed 90% of the time, and that was to blend the CG with the real and make it all seem as one. In scene after eye-sapping scene the CGI backgrounds and creatures looked like badly layered early 2000’s computer game characters. In fast moving scenes actors appeared completely disconnected from their surroundings. Feet floated above and away from CGI landscapes, and as for poorly matted and layered…don’t get me started. Who cleared this film for theatrical release? Technologically the 3D (except in close-ups and real landscape shots), looked cartoonish and low resolution. The blending of real and CGI was cringe-worthy, and the sense that you were watching a 10-15 year old computer game cut-scene built throughout the movie. If you HAVE to see this movie, see it in 2D, because the 3D print is truly lamentable. So that is the technology considered, but what about the story, the plot, the purpose of the movie? Well, it’s not terrible. I honestly can’t say it is epic, or thrilling or life-changing. The sense of scope and proportion wanders between small and personal to grand and majestic. But it does so with stops and starts, stumbles and staggers. Rarely does The Hobbit flow from scene to scene. It is as though everything we loved about Peter Jackson’s vision and style in LOTR has been erased by The Lovely Bones and replaced by whip-pans, juddery camera moves and just-a-fraction-too-early editing style. Add in some often-wooden, occasionally forest-like acting (sorry Sir Christopher and Sir Ian!) and a dearth of believable side-characters and you are left with a movie that is an hour too long, and a soul too missing. Not to say there aren’t some good performances…Martin Freeman owns the role of Bilbo and is immediately loveable and relatable. King Thorin and a few of the dwarves are likeable and well-rounded. But Gandalf feels lacking in purpose or reason, Sir Ian offering a muted and not altogether weighty performance. Hugo Weaving appeared to have phoned his Elrond in from another film-set (while doing his best to sound like David Bowie in Labyrinth), and Sir Christopher Lee’s CGI’d in Saruman was so lacking in spirit it was a geek-tragedy. But in all this there was one shining light…the brilliant Sylvester McCoy as Radagast the Brown was pitch-perfect, mysterious and loopy yet courageous and outrageous. A true Tolkien character brought to life with flair and charm. If only the rest of the film could have been populated by such well-crafted and well-acted characters. Once again, Andy Serkis comes to the rescue (although possibly not in his role of second-unit director). The scenes with Gollum and Bilbo under the mountain playing a game of riddles are superb. The CGI is magical, the setting exquisite, the lighting and blending spot-on. Why oh why couldn’t the rest of the film have been made with such love and care? 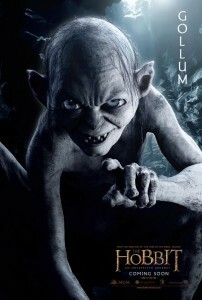 Gollum is a whole new creature here, expressive and exciting, terrifying and unstable. You feel the threat he poses, and yet you continue to sympathise with him. His look of pain, anguish and sadness at losing his precious is heartbreaking. Congratulations to the Gollum team who produced another unsurpassed moment of movie magic. While in no way perfect, the story is certainly interesting and stays pretty close to the book. The additions of some Dwarf/Orc history are superbly handled (with some of the better CGI work employed here). It is to the film’s credit that the backstory to the Dwarf’s quest is explained so well and so succinctly. I’m not so sure about some of the ‘fan service’ additions, such as lines repeated from the original trilogy, and knowing nods and winks. But all in all the film trots along its trail without too many stumbles. Sadly, our return to Rivendell is marred by it looking like a matte-painting taken from a late 80s kids TV show. 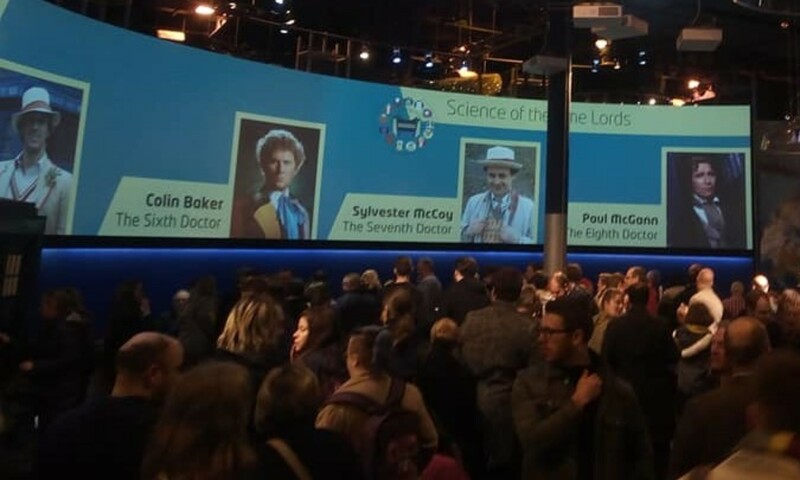 In fact a lot of the film feels oddly akin to a Russell T Davies CBBC series…lots of running around in front of green-screen and a set of CGI backgrounds that feel like updates on the old Captain Zep early 80s technology. My over-riding thought throughout The Hobbit was that I was hankering after watching some classic Knightmare episodes, rather than wanting to keep watching the film. I might just do that, or put Labyrinth on…something with way more character, soul and sense of the epic. With the Hobbit we return to Middle Earth, but it isn’t how we remember it. It is all shiny and computery and cut-sceney. It is full of pixels and cartoonish speed-ups. It groans with the weight of expectation and falls flat on its need for putting technology before storytelling. Please Mr Jackson, re-grade and re-colourise the film, put it in 2D and turn the volume down just a tad…cut about 40-60 mins from it and sort out the lack of scope. THEN I’ll be the first in line to buy the Blu-ray edition!